Note to Editors: There is an infographic and a photo associated with this press release. The Vancouver Fraser Port Authority has launched an industry-leading incentive program for marine vessels operating in the Port of Vancouver, aimed at addressing concerns about underwater vessel noise affecting at-risk marine life. On January 1, 2017, the port authority added new incentive criteria to its existing EcoAction* program to include harbour due rate discounts for quieter ships. This makes Canada the first country in the world with a marine noise reduction incentive. Since 2007, the port authority's EcoAction program has recognized a variety of fuel, technology and environmental management options that make ship operators eligible to receive discounted harbour due rates. The new criteria includes three quiet-vessel ship classifications and three propeller technologies shown to reduce underwater noise. The program applies only to cargo and cruise vessels calling on the Port of Vancouver, which includes Burrard Inlet, the Fraser River and Roberts Bank terminals. 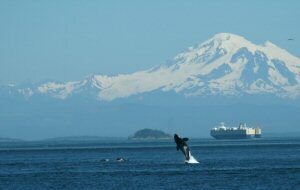 The new noise reduction incentive is one outcome of the Vancouver Fraser Port Authority-led ECHO program, which launched in 2014 with the goal to better understand and reduce the cumulative impacts of commercial vessel activities on at-risk whales throughout the southern coast of British Columbia. The program is a collaborative research initiative involving marine transportation industries, conservation and environmental groups, First Nations individuals, government and scientists. 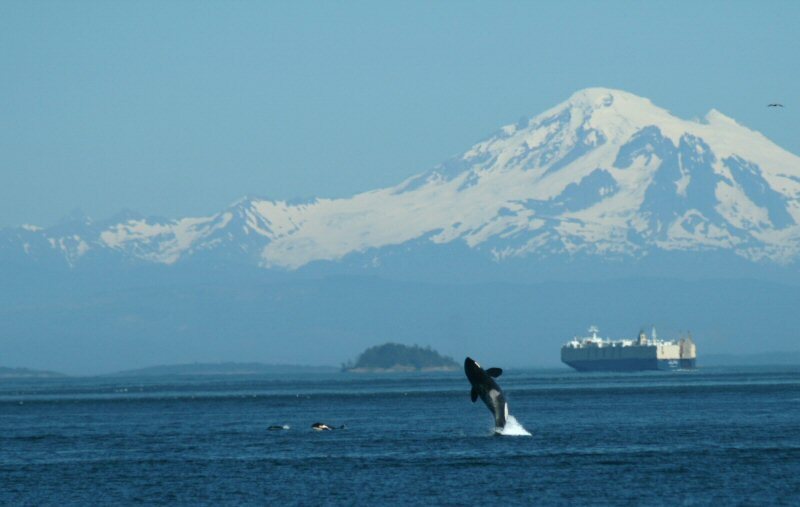 "Adding underwater noise reduction criteria to our EcoAction program is an exciting next step towards our long-term goal of reducing the impacts of shipping activities on at-risk whales," said Duncan Wilson, vice president of corporate social responsibility at the Vancouver Fraser Port Authority. Today, the Vancouver Fraser Port Authority hosted the Honourable Marc Garneau, Minister of Transport, at its office in Vancouver for a demonstration of some of the technologies used by the port authority-led ECHO (Enhancing Cetacean Habitat and Observation) program. Minister Garneau commended the port authority for its efforts to address concerns about underwater vessel noise affecting at-risk marine life and the new incentive criteria incorporated into its EcoAction program. "Today, the federal government recognized the programs and projects we have in place, which we believe align well with the government's recently announced Oceans Protection Plan as it relates to sustainability and preserving and restoring Canada's marine ecosystems. We are very proud of the progress we are collectively making to better understand and address the impacts of vessel activities on marine life," Wilson added. 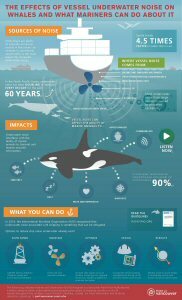 The ECHO program commissioned a literature review and sought input from technical experts including naval architects, acoustic specialists and marine mammal researchers to create the new criteria. The study team identified and evaluated various vessel-quieting designs, technology and maintenance options. Several factors were considered in the criteria identification and evaluation process including noise reduction effectiveness and ability to verify technologies and classifications. Following completion of this study, Vancouver Fraser Port Authority developed its new criteria, which was incorporated into the EcoAction program as of January 1, 2017. Vancouver Fraser Port Authority is responsible for the stewardship of the federal port lands in and around Vancouver, British Columbia. It is accountable to the federal minister of transport and operates pursuant to the Canada Marine Act. The port authority manages the Port of Vancouver, which is Canada's largest port and the third largest tonnage port in North America, responsible for Canada's trade with more than 170 world economies. Located in a naturally beautiful setting on Canada's west coast, the Port of Vancouver is responsible for the efficient and reliable movement of goods and passengers, and integrates environmental, social and economic sustainability initiatives into all areas of port operations. Enabling the trade of approximately $200 billion in goods in 2015, the port sustains an estimated 100,000 supply-chain jobs, $6.1 billion in wages, and $9.7 billion in GDP across Canada.